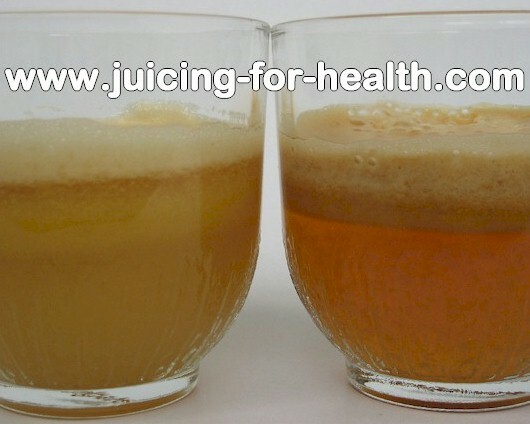 Compare juices extracted using a GEAR juicer and a CENTRIFUGAL juicer. 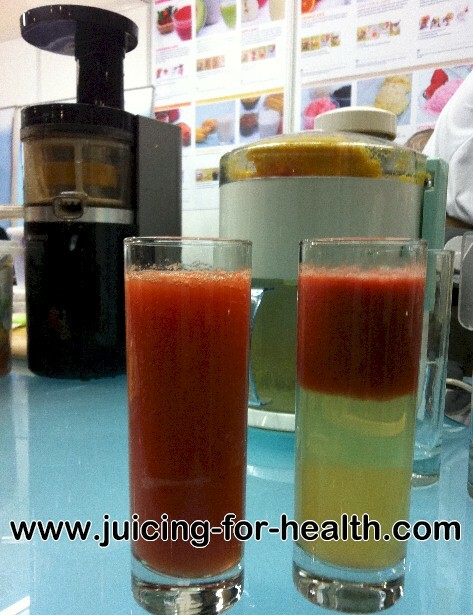 Tomato Juice Extracted Using the JuicePresso – Juice is stable, has a healthy, even color, showing that it’s full of enzymes and nutrients. Tomato Juice Extracted Using a Centrifugal Juicer – Juice separates and contains mainly water content, unstable as it has no more enzymes and nutrients.